Math may not be everyone’s cup of tea in school but these days, there are plenty of resources available to help students with their homework. 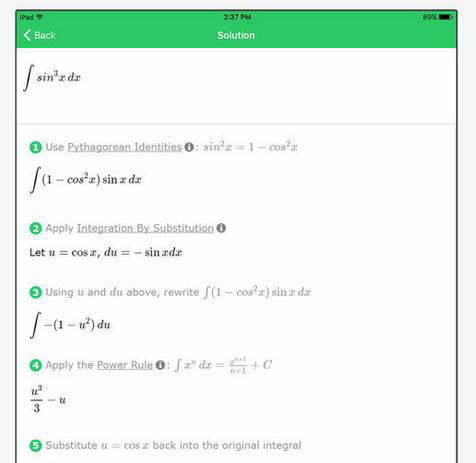 The Cymath is a smart math solver on your phone. You can enter your problem to have the app solve it for you step-by-step. Cymath covers factoring, logs, complex numbers, quadratic equations, calculus, graphing, and other areas. To get started, you simply have to snap a photo of your problem. Cymath is smart enough to recognize your handwriting. It will provide you with step by steps, so you will actually learn how to do things yourself in the future.